The author was born in a small village in 1916. He had his school education in the Hindu high School Karwar and garud High School Dhulia and college education in the Fergusson College and Shri Parshuram Bhau College Pune. He had the food fortune to study Sanskrit under the guidance of Shri V.H. Nijsure and Prof. R.N. Dandekar and Mathematics under the guidance of Prof. D.D Ksihambi and Prof. D.W. Kerkar. He stood first in Sanskrit in the Matriculation examination (1933) and secured the Jaganath Shankarshet Scholarship. He stood first in the B.A. and M.A examination of the then Bombay University and was the Chancellor’s medalist (in Mathematics, 1939). He topped the list of successful candidates in the Indian Civil Service held at Delhi in 1940. He served the erstwhile Bombay and Maharashtra state as collector of Pune. Development Commissioner, Bombay and as Finance secretary. During his stay at Nasik he had the privilege to read Shankara Bhasya on the Brahma Sutra with his Holiness the late Dr. Kurtakoti Shankaracharya of Karavira Peeth. He went to the Government of India in 1962 and worked as Programme advisor planning commission additional secretary ministry of home and retired as finance secretary in 1974. After retirement he worked in all for ten years as a trustee and chief trustee of Shri Jnaneshwar Maharaj Sansthan at Alandi and has been working as Chairman, Bharatiya Vidya Bhavan, Pune Kendra his three works the yoga of Patanjali the Mahabharata its Genesis and Growth A statistical study of the Bhagacadgita as a Synthesis have been published by the Bhandarkar Oriental Research Institute Pune. His translations of Jnaneshwari in Marathi Hindi and English have been published by the Bharatiya Vidya Bhavan Pune Kendra. 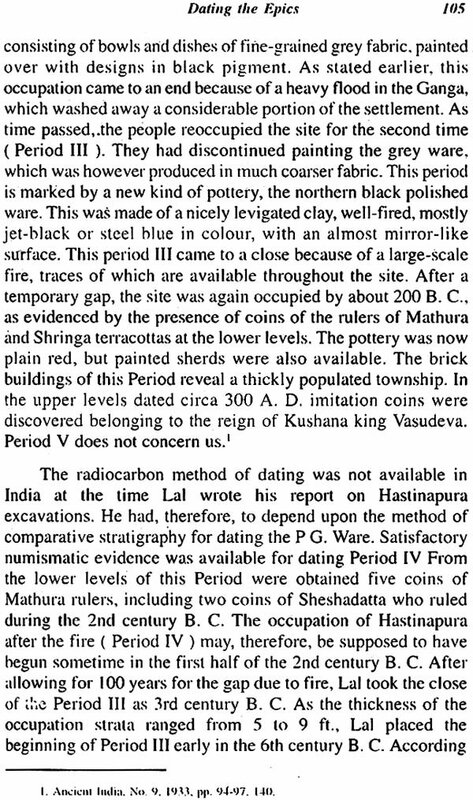 The Mahabharata contains sufficient internal evidence to justify the assumption of at lead three major redactions of the epic. At the outset it may be mentioned that there is no cleat statement in the Mbh that Vyasa wrote a work called Jaya (Victor). It is true that benedictory verse with which the Adiparva starts that after saluting Nara and Narayana and the goddess of learning own should narrate Jaya. This verse does not state clearly that Vyasa composed a work by name Jaya and secondly the verse does not find a place in the southern version of the Mbh only two other verses mention this term and they are I.59.19 which refers to the Mbh as historical tract by name Jaya and V.136.18 where it is applied to the episode Viduraputranushasana.the critical editor observe in this connection that perhaps Jaya is a technical term applicable to certain types of work and not the specific name of the original work of Vyasa as is supposed. It was Winternitz who in his paper presented before the 11th international Congress of Orientalists held in Paris in 1897 laid special stress that a critical edition of the Mahabharata as the only sound basis for all Mahabharata studies nay for all studies connected in the epic literature of India. Winternitz was convinced that a critical edition of the Mahabharata was sine qua non for all historical and critical research regarding the great epic of India. 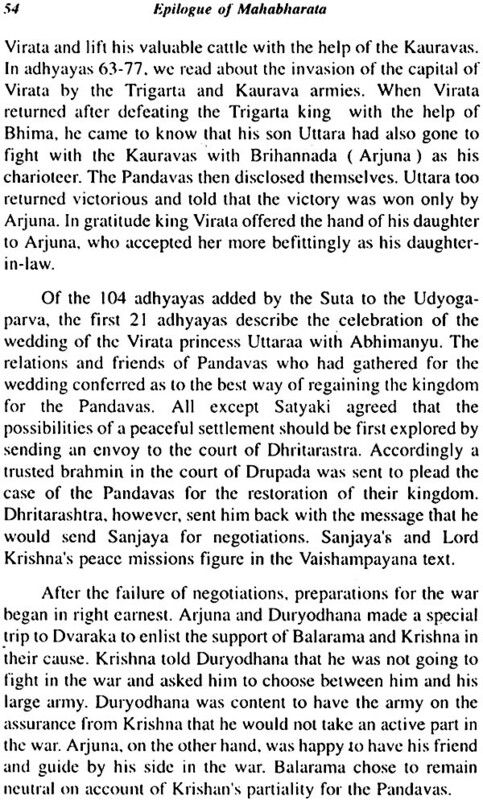 When the critical edition of the Adiparva was completed by Dr. V.S. Sukthatnkar in 1933 it was hailed as the most important event in the history of Sanskrit Philology since the publication of Max Muller’s edition of the Rigveda with Sayana’s commentary. The critical edition contained a complete critical apparatus giving not only the constituted text but also the variant readings of the Mss. Utilized and spurious passages which were excluded from the constituted text the latter being shown in the critical notes and the Appendices. Dr. Sukthnakar further appended a prolegomena to this edition in which he gave a full account of the Mss. Available their classification and the principles followed in the constitution of the text. This was fortunate as he lived to complete the work of only the Aranyakaparva. The work relating to other parvas was completed by 1966 with matching zeal and scholarship by his successors in accordance with the principles laid down by him. A student of Mahabharata has now available to him a critical edition based on an extensive and carefully selected manuscript material collected form all over India. In his foreword to my book the Mahabharata its genesis and Growth Dr. R.N. Dandekar observes as follows. The transmission of the Mahabharata is characterized by a truly bewildering mass of versions and subversions. Indeed no other work illustrates the dictum as many manuscripts so many texts more aptly than the Great Epic. This phenomenon of luxuriant growth and indiscriminate fusion of version can be explained only on the assumption that after its composition the Mbh had in the course of all those centuries been handed down in different forms and sizes from bard to bard through oral tradition and that therefore no special care had been taken to guard its text against partial corruption and elaboration or against arbitrary emendation and normalization. Even in its early phrases and singular but multiple and polygamous and this it indeed what is to be expected of work which has proved to be a vital force in the life of dynamic people. 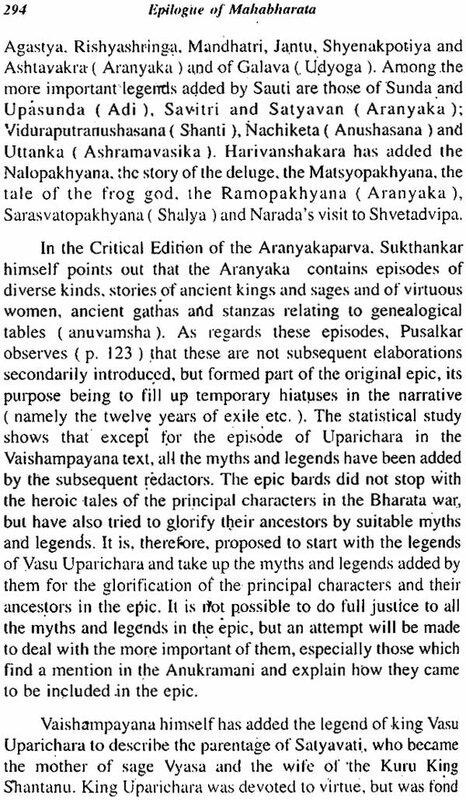 We are now in a position to state what the critically constituted text is Dr. Sukthankar himself (CSM p 236) desorbed it as a modest attempt to present a version of the epic as old as the extant manuscript material would permit us to reach with some semblance of confidence. He was candid readable and will appear in many places to be even better than the critical text. For this he gave the reason that the former had been purged by the continuous emendation made by the scribes for centuries. However he claimed that the critical text had one merit in that it was cleaned of pureinc modern accretions and obvious errors of repetitions which lengthen and weaken the text. 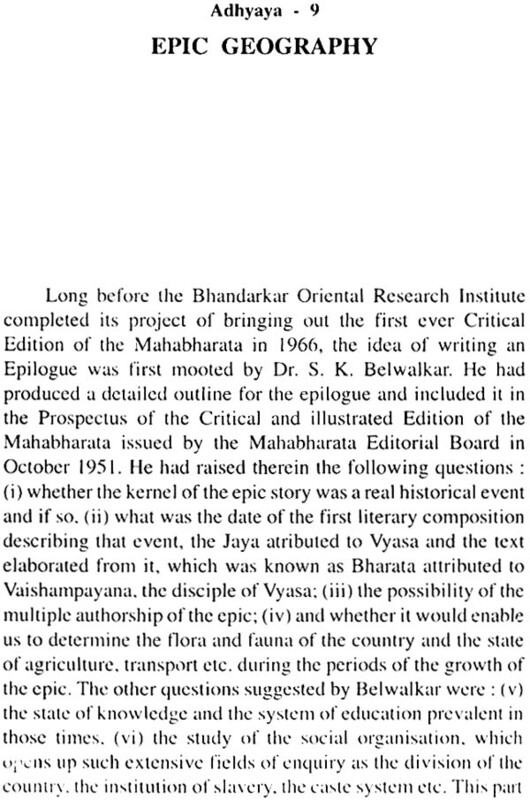 When the critical edition of the adiparava of the Mahabharata was completed by Dr. V.S. Sukthankar in 1933 it was hailed as the most important event in the history of Sanskrit philology since the publication of Max Muller’s of sanskit Rigveda with Sanana’s commentary! The critical edition contained a complete critical apparatus giving not only the utilized and spurious passages which were excluded from the appendices Dr. Sukthanakar appended a prolegomena to this edition in which he gave a full account of the Mss available their classification and the principles followed in the constitution of the text. This was fortunate as he lived to complete only another parva the Aranyaka. The work relating to the other parvas was completed by 1966 with matching zeal and scholarship by his successors in accordance with the principles laid down by him a realty critical edition of the Mbh based on an extensive and carefully Ms. Material collected from all over India. 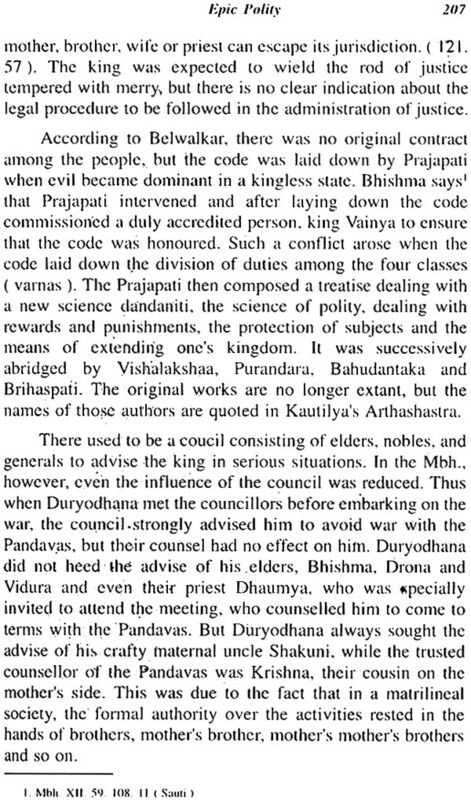 It become obvious that the critically constituted text was not the original Bharata which was recited by Vaishampayana at the snake sacrifice of King Janamejaya Dr. Sukthankar himself did not claim that it was reconstruction of the Ur Mahabharata. It is stated in the epic itself that this original text did not contain any episodes or legends and consisted of only 24,000 stanzas. On the other hand the critically constituted text has a dimension which is more then three times the size of the original Bharata as given in the epic. 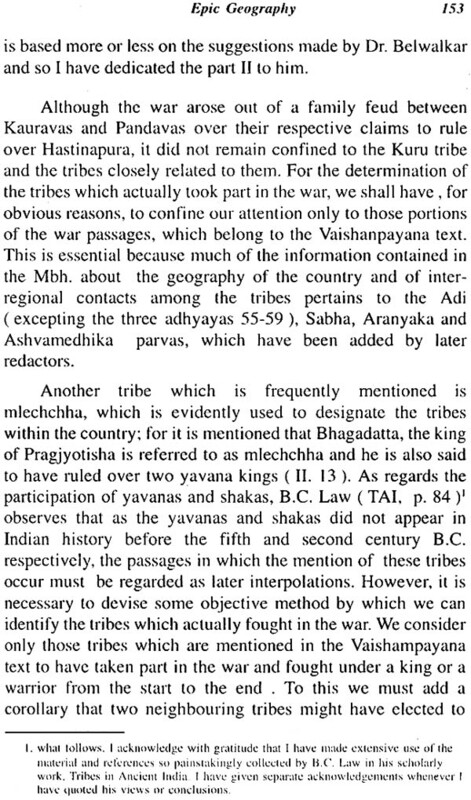 Furthermore passages which are suspected to be interpolations on intrinsic grounds such as the childish stories of the old maid and the five Indras remotely connected if at all with the Bharata war had to be retained in the constituted text as they are to be found in all versions as observed by Winternitz these interpolations must have come to be added at some earlier period to which the manuscript tradition did not reach back. A different approach was therefore needed to identify such earlier interpolation and recover the original Bharata. It was thought that the critical edition and identify not only the original Bharata but also the interpolation which came to be made thereafter. A statistical analysis of the Anushtubh style in the Mbh Critical edition has disclosed by the application of the tests of homogeneity five styles which are significantly different from one another. According to the internal evidence in the Mbh the number of compliers too is five corresponding to the five different styles found in the epic by the statistical study. Among them the adhyayas belonging to one style give a self contained but a bare accont of the Bharata war and the number of verses which they contain comes close enough to 24,000. This is the Bharata of Vaishampayana which was later expanded by four bards Suta the Harivamshakara and the author of the Parvasangraha. It has also been possible to determine the successive additions made by these later redactors by the same method. The later redactors have also enriched the epic by the additions of legends and folklore. In the additions made by suta we come across such legends as those of Agastya Rishyashringa, Mandhatru, Jantu, Shyenakapotiya and AShtavakra and of Galava (Udyoga). Among the more Upasunda (Adi), Savitri and Satyavan (Aranyaka), and of Viduraputranushasana (Udyoga), Muchakunsa, Chirakarika and Kundadhrar (Shanti) Nachiketa (Anushasana) and Uttanka (Ashvamedhika). 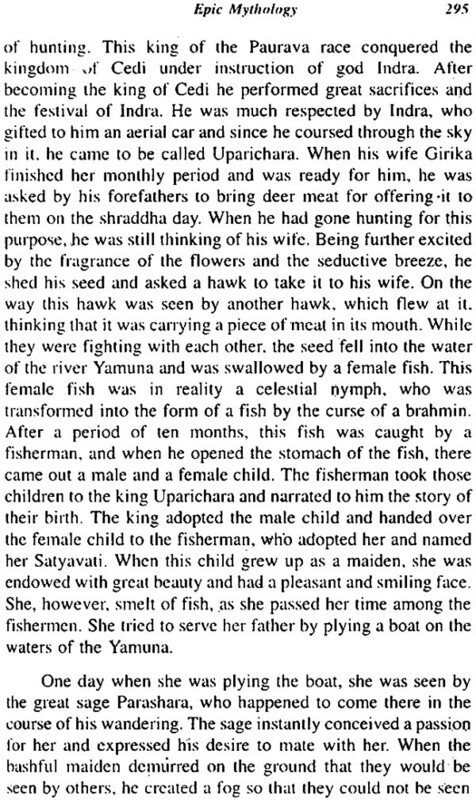 Haricamshakara has added the nalopakhyana the story of the Deluge the Matsyopakhyana the tale of the frog girl and the Ramopakhyana (Aranyaka) Sarascatopakhyana (Shalya) and Narada’s visit to the Shvetadvipa (Shanti). 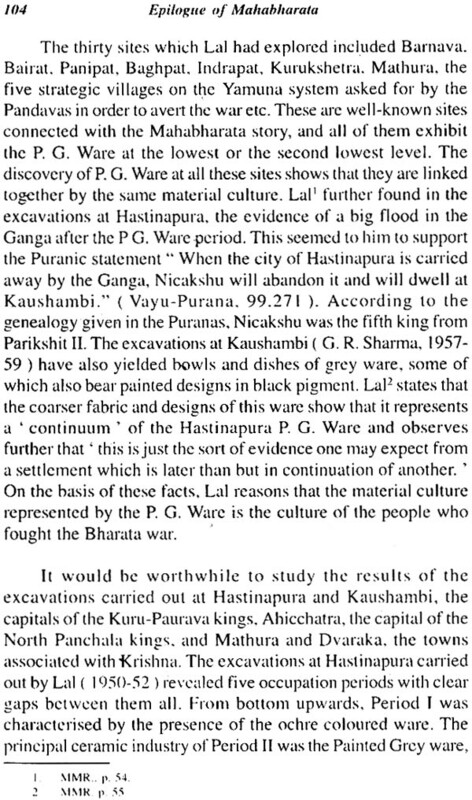 As pointed out by the critical editor and further confirmed by internal evidence the Ramopakhyana has close parallels with Valmiki’s original Ramayana indicating that the latter was used as a source by the Harivamshakara. These redactors have further enriched the epic by incorporating in it many passages dealing with politics religion and philosophy. Suta has added the Viduranitti and the Sanatsujatiya (Udoyoga) Shukanuprashna and the dialogues of Bharadvaja with Bhrigu and Janaka (not necessarily the same as epic Janaka) with Vaisihtha Bhirgu, Yajnavalkya and Panchashikha (Shanti) Dhritarashtra’s advice to Yudhisisthira on the duties of a king (Ashramavasika). 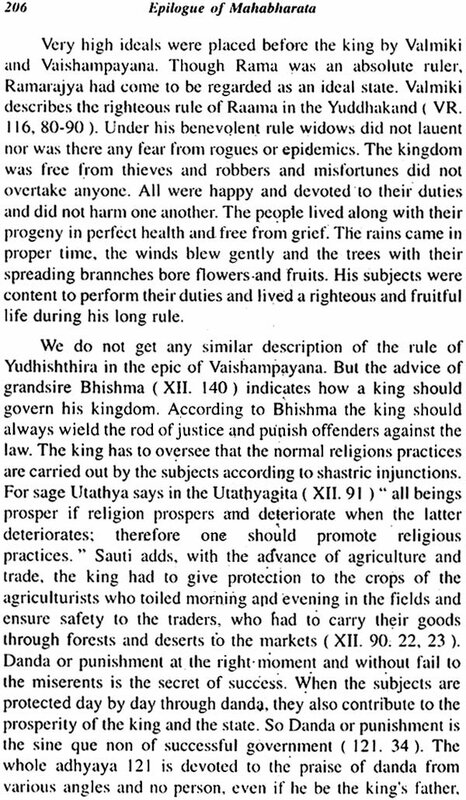 Suta has dealt with the Sankhya and Yoga doctrines which had gained considerable popularity in his days. Additions made by Sauti include the Janbukhandavinirmanaparva the Bhuparava the Bhagavadgita (Bhisma) most of the passages in the Mokshadhram (Shanti) and the passages dealing with danddharam (Anushasana). The Harivamshakara has added the Shukanucharita and the famous Naranarayaniaya section (Shanti). The Naranarayaniaya section recounts the visit of Narada to Shvetavipa where he met god Narayana and received from him instruction in the Panchratra religion of the satvatas. 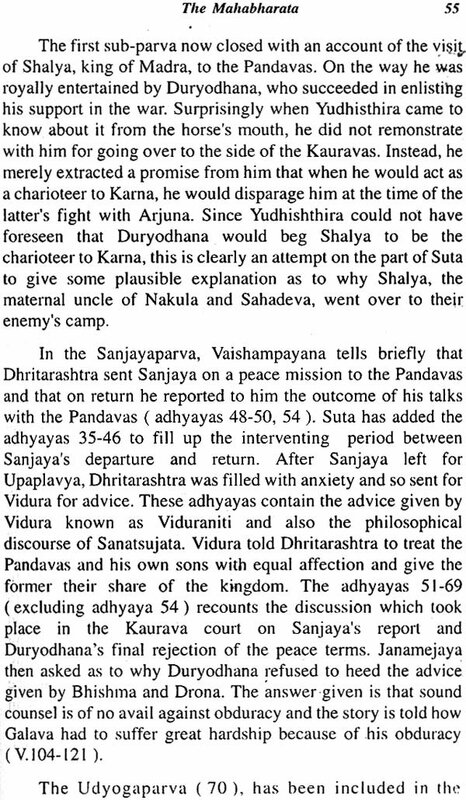 The author of the Parvasangraha has added the dialogue of Sulabhaa with Janaka and that of Shuka with Vyasa. His has further dealt with various kinds of fasts and their rewards and recounted the thousand names of god Vishnu (Anushasana).